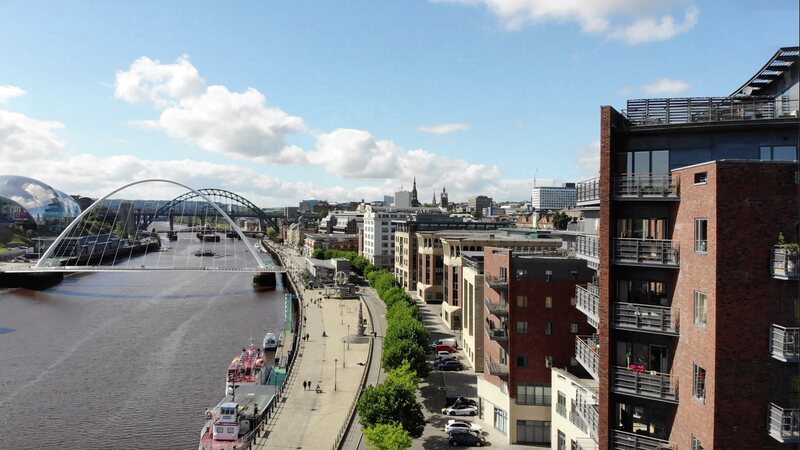 St Anns Quay, Newcastle Upon Tyne on behalf of its leaseholders. This website is our primary means of communicating with leaseholders so please make it your first port of call for any information you require. Click the button to download our residents guide. Every apartment leaseholder is a shareholder in the company. One share per apartment. The 3 directors of the company have all been involved in its management for over ten years and since January 2018 have been responsible for the day to day operational running of the building, including its fabric and shared services. There is no telephone service. Our Concierge service is the first point of contact for any minor routine queries from leaseholders during normal working hours. If you are renting then please contact your landlord or his managing agent. Billing and debt collection services are provided by Kingston Property Services working on SAQML’s behalf. You can contact Kingston with billing queries between 9 am and 5.00pm Monday to Friday on 0844 800 3 800 (select option 3) or by email. If you are a resident leaseholder and wish to report any building issues or defects please complete an online report by clicking the button below. If you are renting you will need to first contact your landlord or his/her letting agent. Concierge services are not included in your service charge if you are sub letting your apartment on a commercial basis. St Anns Quay was designed by the Conran partnership, intended to be the premier riverside apartment location in the city. As such we aim to maintain the highest standards and are determined to make sure that St Anns Quay remains a safe, quiet and well maintained development. This is not a student accommodation building or a weekend “hotel alternative” destination. Short term letting (less than 6 months) is prohibited in the lease and we will continue to pursue any leaseholder that breaches or allows breaches of the lease in that way. The lease is also very specific about unsociable behaviour and again, the directors through the management company have and will continue to enforce the lease requirements for the quiet enjoyment of this great building by the considerate majority. Please use the online form to report any issues with antisocial behaviour (which is not just restricted to noise and may include, for example, smoke entering your apartment from a neighbour or from a shared area). Please be as detailed in your report as you can, and include video/audio/photographic evidence if at all possible. In the case of people renting apartments from leaseholders the leaseholder will be informed by letter at the first instance, which will incur a charge. Further instances will result in legal action, cost of which will also be charged to the leaseholders service charge account.